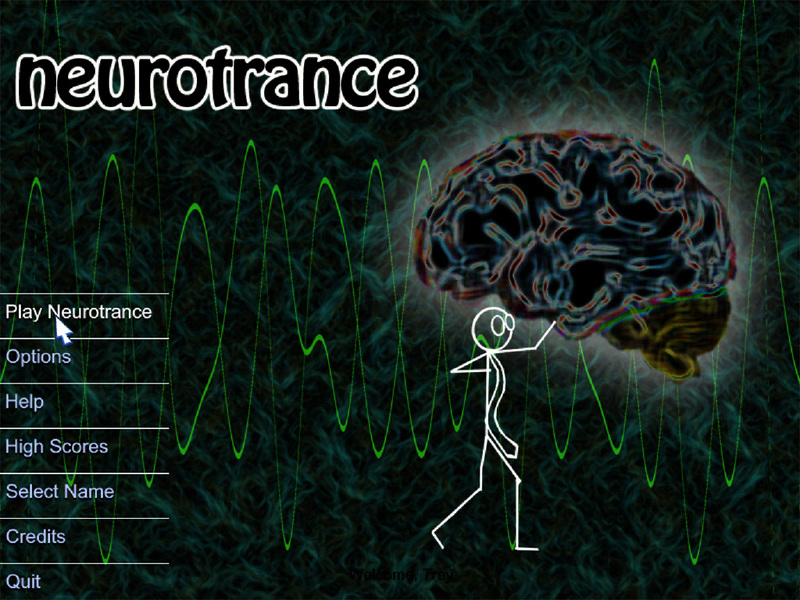 NeuroTrance is an action puzzle game which references the fundamentals of neurotransmitter synaptic transmission to a wide audience. 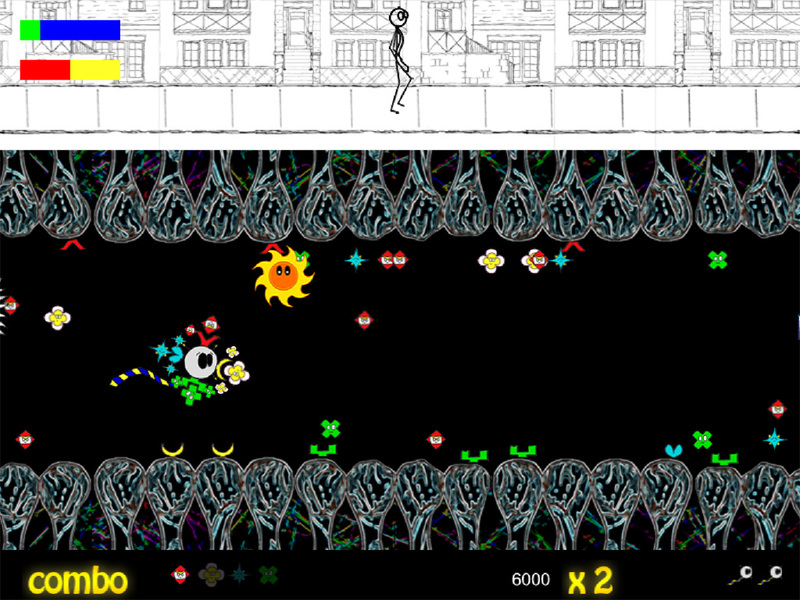 The player operates a nanobot as it moves through the brain of Larry the research scientist, and uses floating neurotransmitters (NTs)in the synaptic environment to alter Larry's mood and activity level of the scientist. By inputting different combinations of neurotransmitters, the player guides Larry through the ups and downs of his day. 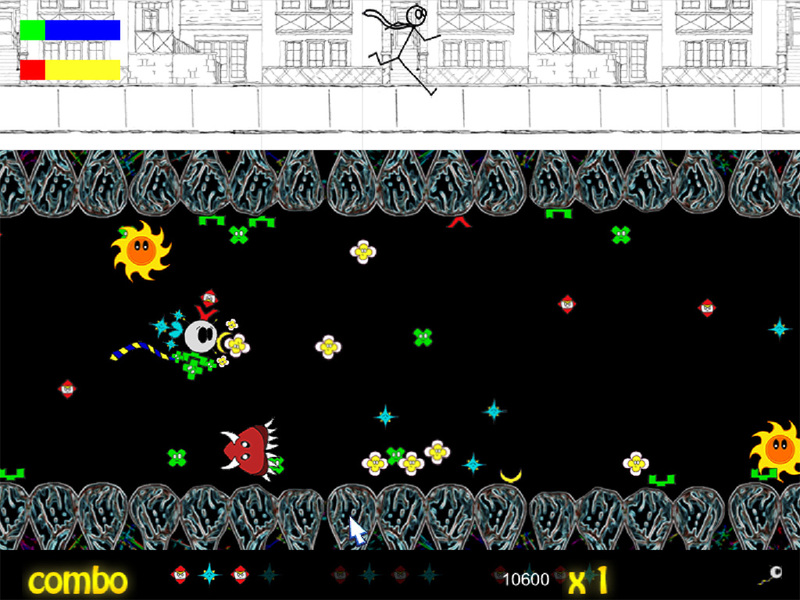 NeuroTrance plays similarly to side-scrolling shoot-em-ups, but instead of shooting, we sought to emphasize placing NTs rather than shooting them (although that can be done as well). By associating colored shapes with actual NTs and their functions in the central nervous system. The player learns the effects of various NTs in a subtle fashion, without lengthy and tedious neuroscientific explanations. Although the game currently represents just an initial foray into making these concepts accessible to lay audiences without significant neuroscience education, we expect the project could be commercialized given a longer development cycle. After all, researchers are constantly unraveling the secrets of the brain, and as they do so we expect the general public's interest in the subject to increase. Games like NeuroTrance could be used to jump start this lay audience's interest in neuroscience research and serve as their first step into understanding the complexities of their own minds.